Indoenna M. Applewhite, 41 years of age, Address-Fifth St. Patterson, La. was arrested on 02/06/2019 @ 11:42 am. 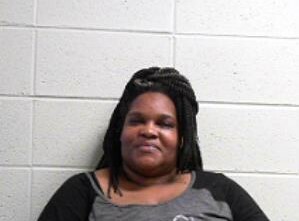 Indoenna Applewhite was located at a business on LA Hwy 70 and placed under arrest for active warrants she held for the Morgan City Police Department. The warrants stem from incidents dating back to December 2018 that alleged Applewhite, who was an employee intentionally did not scan items properly at her register, allowing for individuals to pay a lower price. Jonathan J. Hernandez, 28 years of age, Address-Fielders Court Houma, La. was arrested on 02/06/2019 @ 4:40 pm. Jonathan Hernandez was a passenger in a vehicle involved in a traffic stop on LA Hwy 182 near Aycock St. Upon coming into contact with Hernandez, he produced what appeared to be a fraudulent Texas identification card. Reports indicate that Hernandez admitted the identification card was fraudulent and he had purchased it in another state. Hernandez was placed under arrest and transported to the Morgan City Police Department for booking and incarceration. Thomas D. Barefoot, 53 years of age, Address-Second St. Morgan City, La. was arrested on 02/06/2019 @ 4:07 pm. Thomas Barefoot was placed under arrest at the Morgan City Police Department for an active warrant he held for the department. Barefoot was booked and incarcerated. James W. Bennett, 50 years of age, Address-Sixth St. Morgan City, La. was arrested on 02/06/2019 @ 6:24 pm. James Bennett was transported from the Berwick Police Department to the Morgan City Police Department for active warrants he held for the department. The warrants stem from incidents on February 1st and 3rd that alleged Bennett had contacted the Morgan City Police Department to file complaints that through investigation turned out to be false. Bennett was booked and incarcerated.